It is the electronic media which is used to give sensational and breaking news even before the news has happened. But the time has changed now and social media is dominating the electronic media in all aspects. 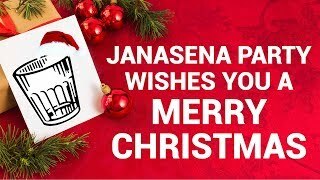 Ever since the symbol of Janasena is announced as the Glass Tumbler, the state media has not shown any interest in projecting it. Everyone knows that state media is completely biased against Pawan Kalyan and they made an oath of not showing any details regarding Janasena. But they dont know fate always shows an alternative for well being of the people. Strengthening to this comment, the social media has done so much favor to Janasena, what the electronic media couldnt. Right from the announcement of the symbol the hash tag #VoteForGlass is circulating at a scintillating super speed giving jealous feeling to all the haters. We have an old saying, symbol signifies more than words. The same thing applies for political field as well. People always believe in doing rather than speaking as they got bored with false promises of the politicians. They now opt for the leader or party based up on their ideology. And we can say, nothing speaks better about the ideology more than the symbol. That is why any political party aims for the right symbol as it ensures fifty percent of the victory in the election battle. This is exactly where Pawan Kalyan led Janasena has scored most. It has got the most convenient symbol, a glass tumbler to fight in 2019 elections. The glass tumbler can be seen in the hands of many people at every street corner in India. It stands for transparency and equality without any religious and caste barriers. It perfectly resembles the seven ideals of Janasena party. It symbolizes social consciousness without caste, Politics without religious discrimination, Reverence for linguistic diversity, Protection of traditions and culture, Nationalism without neglecting regional aspirations, Relentless fight against corruption and progress that preserves the environment. In addition to that, the symbol also adds great impact to the concept of Caste Unification introduced by Pawan Kalyan. Moreover the perfect symbol make the political campaigns very easy. People quickly identify the symbol as it can be seen in every house. It became cake walk for on foot campaigners across the state to project the glass tumbler as the symbol of Janasena. Adding to that, social media activists also have made the hash tag #VoteForGlass and successfully spreading it through all the social media platforms. 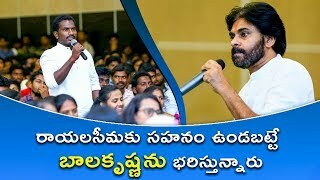 Even though the electronic media is biased against Pawan and not showing any interest in publicizing the symbol, all the Janasainiks have taken the responsibility of it and eventually succeeded to make known to the people. But all cannot be termed as well when there are so many haters of Janasena Party in the state. Janasainiks should be aware of another symbol, a bucket which exactly looks like glass tumbler. They have to bring awareness among the people in this regard also, if not there is a chance of splitting Janasena votes by the independent contestants who could be a part of the conspiracy made by opposition parties. Earlier Prajarajyam experienced the same thing which lost most of its votes to a road roller, that is very similar to rail engine of PRP. So, all the Janasainiks be alert, and make the glass tumbler as the only voting symbol for all the people ! 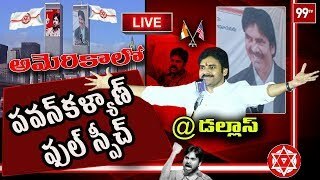 Can Janasena make it happen in 2019 ? 24octPawan, Mayavathi Meet is a Big Surprise !